is the resident cycle therapist with a Ph.D in Marriage and Family therapy, and nationally certified in Spinning and Stages bikes. She also has a group exercise and personal training certification from AFFA. Susan is a veteran instructor, and has taught fitness classes for over 20 years. Susan blends her psychology education with her passion for fitness to motivate others to reach their highest fitness potential. Susan believes in “sweat therapy”, and that fitness should be fun, empowering, and transforming. Susan is also a "Wellness Coach", with extensive experience counseling eating disorders, and fitness. is a Master Cycle Instructor, and has over 20 years experience in the fitness industry. She is a certified Stages instructor, and holds a group exercise instructor and personal trainer certification through AFAA. Linda has an enormous amount of passion for fitness, and is extremely energetic which inspires others to reach for their highest potential. Linda plays the best club mixes found in any hot Miami nightspot, which makes her cycle class like a dance party on a bike. Her energy, warm and inviting personality and pumping music makes her class the most popular. Linda’s class is so much fun, you’ll never realize how hard you worked, but you’ll leave drenched!! is our British born beauty with a passion for fitness and music that makes her class fun, and challenging. She is certified through Madd Dog Athletics and Stages. Charlotte brings her authentic personality, enthuasim, and genuine desire to bring you the best in cycling, which makes her class extremely motivating. Charlotte will inspire you to reach your highest fintess potential! You'll leave her class feeling both drenched and exhilarated. Doug has worked in the Wellness industry for over 30 years. He has worked with many of Hollywood’s fittest people from the likes of John Travolta, Sylvester Stallone, Tony Goldwyn and Mariah Carey. He was the “Fitness & Nutrition Consultant” to “The Joan Rivers Show” and “Live with Regis and Kathy” for years. He now appears on Good Morning Chicago, Good Day New York and Good Morning LA. Doug draws not only on his great academic background as a nutritionist and biochemist but also his true life experiences as an active Tri-Athlete and Ironman competitor. Doug is a highly sought-after speaker in the field of health, fitness, nutrition, chiropractic, communication, team building and motivation and travels around the world speaking to thousands. Doug is a true inspiration in all senses of the word, and his classes will inspire you to push past your limitations, and transform yourself into a spectacularly fit work of art! is our "southern belle" and an avid fitness enthusiast. 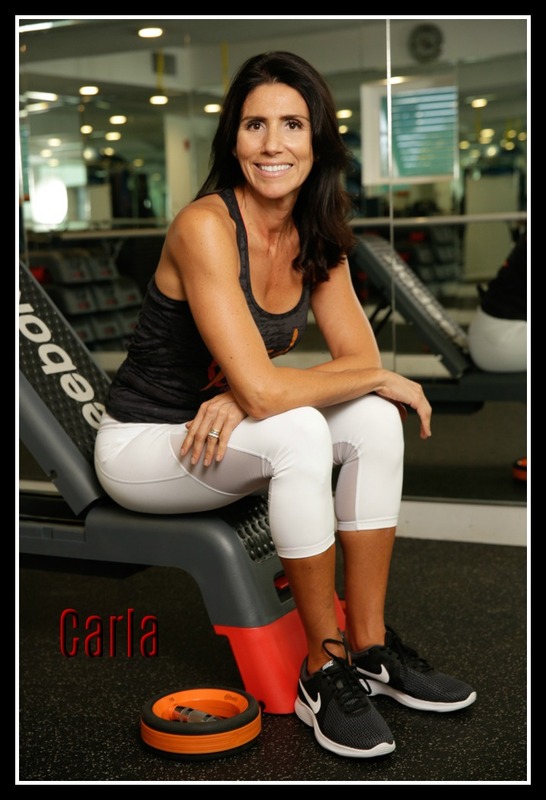 She is a nationally certified fitness instructor with over 20 years experience. Nadine teaches a variety of fitness classes, including cycling, body sculpting, kickboxing, water aerobics, and pilates. There isn’t anything in group exercise that Nadine doesn’t teach! Nadine’s an amazing instructor with that southern hospitality, which makes you feel welcomed, and motivated to push past your comfort zone, to reach your fitness goals. Copyright© 2016 ridedelray.com. All rights reserved.